The first procedure in the driving license you need to apply for learning license test. in this test, they will ask you twenty questions about road signals and traffic conditions and driver situation if you give the answer 15 questions correctly then you will be pass otherwise you will fail. 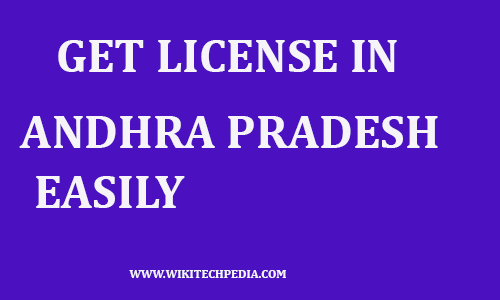 applying for learning license you must have Aadhar card belongs to Andhra Pradesh other state Aadhar card won't work so here is the procedure. After successful application for LLR, you should take printout and go to the respected RTO on the date and time. they will give you a computer and you have to choose the correct answer for asked questions the questions have multiple options for an answer so later I will suggest you which Traffic sign PDF suits for you in Andhra Pradesh. after clearing the LLR test they will give you an LLR license which is valid for six months and you can write a motor vehicle with a person who has a permanent driving license in the case then emergency situation the permanent driving license holder can handle the situation. after getting LLR you can apply for driving license test within 30 days. 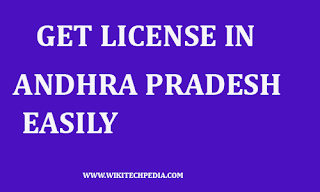 After getting LLR you should apply for driving license test which is cost around in Andhra Pradesh 960 rupees after successful application you should take printout and go to the respected RTO for driving test with your own vehicle. always wear helmet before test and do not put your food on track if you put on track then the vehicle Inspector will ask you if you question about traffic rules if you answer the question correctly they will pass you are if you fail in answer the question then they will fail you and you have to take the test against which is cost around 300 rupees for retest. if you clear the driving test they will give you a temporary driving license which is valid for some days which your original license should be reached at your home through speed post of India.